An outdoor decking can transform a yard. A deck adorned with a pergola can make the outdoor environment inviting all year round. And that’s not the only reason why decks & pergolas go hand in hand. What’s your reason for installing a deck? Whether you go for wood or composite decking installation, your intention is to transform a boring garden. Or create a livable space in the yard. Or improve the outdoor environment. What you get is a specified space where you can dine with the family, spend time with friends, or relax – all in a clean and neat environment. 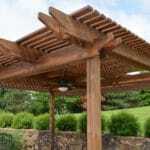 Why would you install a wooden pergola? To create shade, define the outdoor living space, and have a protected area where you can host parties or enjoy the garden with your family. Now bring the two together. Imagine having a deck and a matching custom pergola. What will you gain? With a wooden pergola and deck, you expand the livable space at your home. It will be a great match – aesthetically speaking. You can use the same colors or paint the columns of the pergola a different hue to define the deck area. You will spend more time outdoors since the deck will be well protected by the pergola. Don’t forget that pergola building and designs vary. You can get a solid structure or beams. You can also fit a deck railing system. This way, everyone in your family will be protected from accidents. The deck area will be protected from the elements and the weather. If you have trees around or want to protect plants, you will provide the perfect environment for them. And you can enjoy the deck even if it’s raining or during a very hot summer day because the area will be protected. Since the deck area will be protected, you can enhance functionality by having an outdoor oven or grill. You can even keep a pool table for some games with friends. Such choices will enable you to use the outdoor environment for many activities and not just for a couple of hours. A custom deck and pergola will make your home even more valuable. 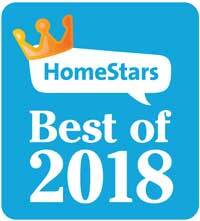 Not just to you now but also in case you decide to sell. Although many things affect home value, having a durable cedar outdoor decking and pergola at the backyard will make a difference to potential buyers. Decks & pergolas can be installed separately. And each will provide a degree of functionality and pleasure. But when they are combined together, they make the perfect couple. They maximize the usages of the outdoor environment and thus allow you to enjoy the garden in more ways that you can imagine. 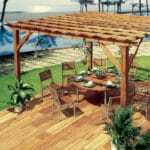 There is no doubt that the right pergola and deck building, colors, and designs will also add character to the home. And you don’t even have to hide garden furniture in the winter. They will remain protected and ready to welcome you back when the weather starts getting a little better.